There's not much news today, but I've updated two of yesterday's news items with some more information that has since become available (the disputed re-dating of the eastern Mediterranean, and the Bosnian pyramids). For those of you following the Getty Trial, which has rammifications for the entire archaeological/museum world, the above provides the latest details: "Dozens of documents were dissected in a courtroom here on Wednesday as prosecutors sought to weave the doings of art dealers, collectors and museums into what they argue is a broad criminal pattern: the trafficking of archaeological artifacts looted from Italian soil". "Following the discovery of hundreds of illegal antiquities at a villa on the island of Schinoussa, the policeman leading the investigation explained to Kathimerini how organized networks are able to turn their plunder into legal ancient artifacts on the international market. Giorgos Gligoris, the head of the Illegal Antiquities Department of Attica Police, has been leading the probe into how hundreds of unregistered artifacts ended up on the island, south of Naxos. The discovery was made on April 13." An article about Zahi Hawass and his moves to repatriate important Egyptological artefacts: "Hawass’s list of national icons starts with the Nefertiti bust in Berlin and the Rosetta stone (ca. 200 b.c.) in the British Museum in London. Both of these objects left Egypt a long time ago, the Rosetta stone in the 1820s and the Nefertiti bust in 1912. From the Louvre, Hawass wants the Dendera zodiac (50 b.c. ), a map of the heavens that was sawed and blasted out of the ceiling of the Temple of Hathor at Dendera by the agent of a French collector in 1821. By modern standards the Rosetta stone and the zodiac were looted, although the term wouldn’t have made sense to the French and British agents who swarmed over Egypt in the early 19th century in a competitive quest for treasure—nor to most Egyptians. . . . Hawass is also encouraging other countries to demand the repatriation of their own national icons. He is planning a conference in Cairo next year of nations that have lost artifacts of their heritage." There is also a comment towards the end of the article about plans to introduce, as from next year, a reservation system for tourists visiting the Valley of the Kings, in a bid to offer some protection for the tombs. The article also touches on the SCA's policies for issuing permits for excavation. See the above page on the Art News Online website for the complete article. "A burnt olive tree has helped to resolve a controversy over dating key events in the Mediterranean that took place more than three millennia ago. The new dates would change the chronology of the Minoans, Greeks, Cypriots and others by a century, realign history and raise questions about the Egyptian chronology and the genesis of Classical civilisation. The rewriting of the history of the Aegean has come in part from an elaborate study of charcoal and seed samples from a number of sites dated to between 1700BC and 1400BC, and partly from a single olive tree. The gnarled stump was found in a volcanic rock layer on the Greek island of Santorini (Thera)." The article goes on to discuss the dating of the massive eruption that destroyed much of Bronze Age civilization in the Aegean, explains how Bayesian statistical methods have been applied to the carbon dating of the above-mentioned olive tree and briefly looks at some of the implications of the new chronology, which, if accepted, shifts the chronology to 100 years earlier than previously believed. Not all scholars are in agreement. Not really trivia, but not very relevant to Egyptology either, so in the absence of any trivia this week, I've put the latest news re the Bosnian pyramids (three of them now, suggested by satellite photographs) in the trivia slot. The following links offer some insights into the story. Egyptian archaeologists are expected to travel out to inspect the discoveries in the coming weeks. "Experts may be skeptical but an archaeologist's claims he has found Europe's first pyramid began attracting tourists to a town near Sarajevo. The town of Visoko is home to Europe's only pyramid, or at least that is what a Bosnian amateur archaeologist would like us believe, London's Independent wrote Friday. Whether the 45-year-old Semir Osmanagic is right or not, he has certainly started a craze. The man now known as the Balkan Indiana Jones said he believes there are pyramids under two nearby hills as well." "Scientists in the Bosnian city of Visoko have begun excavating a site that is believed to hold Europe's first known pyramids. The pyramids have not been uncovered yet, but satellite images of the area show three pyramid-shaped hills about 650 metres high. They have been named the Pyramids of the Sun, the Moon and the Dragon and are believed to be 2,000 years old. Early excavations show what appears to be a network of tunnels several kilometres long that connect the pyramids." Video footage of the Bosnian pyramid with excavator explaining the theory and the excavation plan - go to the above page and scroll down to the Video heading, on the bottom right. "Frenzied reporting of supposed pyramids in the Balkans ignores the truth and embraces the fantastic. The world's oldest and largest pyramid found in Bosnia? It sounds incredible. The story has swept the media, from the Associated Press and the BBC, from papers and websites in the U.S. to those in India and Australia. Too bad that it is not a credible story at all. In fact, it is impossible. Who is the "archaeologist" who has taken the media for a ride? Why did the media not check the story more carefully? ARCHAEOLOGY will address these questions in depth in our next issue, July/August, but for now let's at least put the lie to the claims emanating from Visoko, the town 20 miles northwest of Sarajevo where the 'Bosnian Pyramid of the Sun' is located." See the above articles for more. "The Czech team is one of only a dozen which have been granted permanent status in Egypt. The Abusir excavation site has proved unexpectedly rewarding and Czech archaeologists there have big plans for the future. The head of the team in Abusir professor Miroslav Verner who discovered an unplundered tomb in 1996 is now hoping for greater things - the seat of a former government and a long lost palace: 'In my opinion regardless of everything that has so far been discovered in Abusir there is still a lot of work to be done, for instance, the discovery and exploration of the pyramid town Ba Neferir Kara - a pyramid town which is known from written documents and which surely existed in Abusir. Another archaeological challenge is the Residence from the 3rd millennium BC. The Residence was the seat of the government of that time, the executive branch of the Egyptian top administration. So far no residence of this kind has been discovered but there is a hypothesis that it might have been located in Abusir, possibly in the area of the Lake of Abusir. And I should not forget another great challenge namely the palace of Sahure. So far no royal palace from the old kingdom has been discovered. And again written documents inform us very clearly that such a palace which was named "Extolled is the Beauty of Sahure" must have existed in Abusir - definitely. So that's another important challenge for Czech archaeologists.' The Czech archaeological team headed by prof. Verner has just received a grant which will enable it to continue its work in Abusir for another 7 years. In the meantime, in Prague a new generation of archaeologists is in the making." See the above website for the full story and further comments by Professor Bares. "Czech archaeologists have a chance to uncover a royal palace and a royal government seat from the Pharaohs' era in Abusir, Egypt. Miroslav Verner, long-term head of the Czech archaeological expedition in Egypt, told the Czech Archaeology Abroad conference that the royal buildings were probably situated at the border between the Nile valley and large burial grounds. Czech archaeologists have also uncovered a number of shaft graves in Abusir dating back to 530-525 B.C. One of the large tombs they have studied belonged to admiral Wedjahor-Resne, labelled as 'the traitor of Egypt' over his collaboration with the Persians, said Czech Egyptologist Ladislav Bares. The decorations and a giant sarcophagus in the tomb of an Egyptian priest, which has never been robbed, are unique, along with the burial equipment, including 408 statues of servants, amulets and the Book of the Dead." "Frustrated with the poor quality of many Web sites dealing with ancient Egypt, a professor at the University of California has decided to create an online encyclopedia devoted to Egyptology. Willemina Wendrich, a professor of Egyptian archaeology, had watched in dismay as the best resource for her subject, a seven-volume encyclopedia in German, got more and more out of date because of the prohibitive cost of updating it. Meanwhile, her students at UCLA were doing research for papers on the Internet, and being led astray. 'The Web has a lot of wonderful information, and a lot of horrible information,' she told Reuters in a telephone interview Thursday. The UCLA Encyclopedia of Egyptology, which will go online in 2008, will be peer-reviewed and will update when there are new discoveries, Wendrich said. One version, in PDF format, will be available for free to anyone using the Web, while a second version, with a better search function and more graphics, will be available by subscription." "Among the finds are tools, Cypriot pottery and bronzes, proof of relations with the eastern Mediterranean. But the most stunning discovery is a single bronze scale from an armour breastplate that bears the stamp of a famous Egyptian pharaoh. Translated by professors Jacke Phillips and John Ray at Cambridge, it is the name of Ramesses II who ruled Egypt during the 13th century BC. Lolos said it was possible that Salamina men had fought as mercenaries in the army of Ramesses." Phillips believes the piece to be unique. See the above article for the latest about the Palace on the Greek island of Salamina. Dahab - impacts on tourism? "Egypt's money-spinning tourism industry may take a hit after the bombs in Dahab this week, but tour operators and economists expect the impact to be limited, with the economy now more resilient to shocks. Nearly a decade ago, when gunmen killed 60 tourists as they visited the ruins at Luxor, tourism was devastated and it took more than four years for the economy to recover. Now, tourists and the economy are more hardy, as attacks become more common." Very few holiday cancellations have been made by tourists planning to visit Egypt soon, and the British government, which is usually very cautious, is not advising tourists to avoid Egypt. Bietak, Manfred (2004), "Review: S.W. Manning--A Test of Time (Oxbow, 1999)", Bibliotheca Orientalis 61: 199-222. (January - April 2004). "Hidden behind the tranquil front of archeology, Greek history and Egyptian history there has been a hidden battle going between two groups of people. There are those who take the Greek version of Alexander the Great's actions as literally true and believe that he founded the city Alexandria in 331 BC. Others view the location, with a good harbor and entrance to the Nile as something that must have been occupied before Alexander turned up . . . . Enter researchers with a knowledge of radioactivity and a penchant for lead . . . . As expected, lead concentration increased by a factor of 100 at the time when Alexander ordered construction to begin. However, there are also peaks associated with two pre-Alexander settlements: a bronze age settlement dated to the IV dynasty and an iron age settlement dated to about 1000-800 BC." "A discovery by a group of French and Egyptian archeologists Tuesday revealed that Egyptians enjoyed a public cooking service 3,200 years ago. The traces of that ancient civilization were found in the city of Luxor, where Egyptians prepared meals for workers of the Pharaoh tombs, and where remains of a school for workers' children, a butcher and vegetable stores. Expert Sabri Abdelaziz confirmed they served the workers bread, meat and vegetables. According to Culture Minister Faruq Hosni, the kitchens were built in western Luxor, near the 'Rameseum', funerary temple erected in honor of Pharaoh Ramses II (1304-1237 BCE). During his reign, Ramses II enlarged the empire's power and reached his most overwhelming success with the war against the Hittites, a people settled in Anatolia, current Turkey. The funerary temple in honor to this pharaoh contains hieroglyphics referring to his wife Nefereti, battles and successes." New technology is being developed which will enabled archaeologists to create realistic simulations of sites and monuments, such as the tomb of Tutankhamun: "Researchers from the University of Bradford are breaking new ground with cutting-edge technology set to revolutionise visual display units around the world. Funding of more than £225,000 has allowed academics to develop test programmes which will help archaeologists take a clearer look at the past and give military strategists a birds-eye view of battlegrounds . . . . They are set to design a series of tests on the effectiveness of revolutionary High Dynamic Range (HDR) displays. HDR visual display is several steps ahead of LCD (Liquid Crystal Display) technology now a feature of most TVs and monitors . . . . Dr Bloj and her colleagues are attempting to develop work done in the archaeology and military fields and in other areas where realistic images are important. Their work involves examination of real-life images and their computer counterparts in a bid to minimise any loss of detail. Once the technology has been developed, archaeologists will be able to create picture-perfect simulations of some of the world's most important sites, such as Tutankhamun's tomb." "It all ended quietly, well before the witching hour. One lone person, in the last gallery of the museum, poring over the scientific analysis done on King Tut's mummified remains, which included a reproduction of the boy king's skull. The last visitor then wandered out past the gift shop, and left the museum, just before 11:30 p.m. on Sunday. After four months of hoopla, Tutankhamun and the Golden Age of the Pharaohs ended its run at the Museum of Art in Fort Lauderdale. The exhibit chaalked up 707,534 visitors, according to museum officials. Thanks in part to a Tut marathon viewing -- which began Saturday at 8 a.m., with the last person being let in just before 10 p.m. Sunday night, some 30,000 more tickets had been sold during the last four days." "Polish archeologists and conservationists working in Sudan will found a museum devoted to early christianity in Nubia in the town Banganarti, where they will display their finds in the area. The museum, scheduled to open in 2 years' time, will feature fragments of three early-Christian churches unearthed by Polish teams, the earliest dating from the time of Nubia's reversal to christianity in the 6th-7th century, as well as portraits of Nubian kings. Among the displayed relics will be parts of the onetime Archangel Raphael Church, one of the medieval world's main pilgrimage sites, whose basement contains tombs of Nubian rulers." This is the full story on the Naukawpolsce website, above. Sincere condolences to the victims, and their friends and relatives of the most recent Dahab (Sinai) bombings, where 30 people were killed and over a hundred injured on Monday. Thoughts go out to them. Another apology for a late posting - but this time it was due to a problem with the Blogger service that hosts this blog, and has been widely reported on all the support groups. I was able to write the blog, but I couldn't publish it, so it has been sitting waiting to go all day and I have only now been able to put it live. This is a problem that does rear its head occasionally, but is usually resolved quite quickly. Today's postings are below as usual. The Egyptian Origins of Christianity? An article that lists a number of ancient Egyptian inventions and then moves on to ask if the Egyptian religion influenced Christianity - the subject of a new book entitled The Egyptian Origins of Christianity by Lisa Ann Bargeman: "Bargeman asserts that many Christian rituals and beliefs, specifically Roman Catholic ones, may have come from ancient Egyptian tradition. Her book juxtaposes the Bible with the Egyptian sacred text, The Book of the Dead, using specific themes and ceremonial practices to argue that Christianity directly evolved from the Egyptians." As well as a summary of some of the main arguments from the book and extracts from an e-mail interview with Bargeman, there are comments from a scholar who is opposed to her ideas. A short article looking at the mix of people who visited the exhibition in its last few hours - over 10,000 people left it til the last minute to vist. The next week will be sent packing the artefacts for transportation to Chicago. Last week's EEF News Digest is now online at the above address for all the latest information about exhibitions, conferences, lectures and new online and print publications, grants awards and fellowships, new websites, courses and trips, plus a round up of last week's main news items. "The Egyptian Museum will soon open a hall to display the four mummies of high priests. The mummies were found in sarcophagi dating back to the XXDynasty (1188-1069 BC).The hall, on the second floor of the museum, has been equipped with glass showcases and ventilation system costing LE6 million.Eleven mummies of kings and princesses, dating back to the XXI and XXII Dynasties (1069-715 BC), will also be on display." This is the entire bulletin on the Egyptian Gazette website. "Tutankhamun and the Golden Age of the Pharaohs set an astonishing record for attendance, about 650,000 visitors flocking to gaze at gold and jeweled artifacts from the royal graves of Egypt's 18th Dynasty.The exhibit garnered a million dollars' worth of renovations by way of a county grant and a loan from the Greater Fort Lauderdale Convention and Visitors Bureau. Memberships have soared. Most significant is how Tut and his famed trove have spotlighted the museum and forever changed it." Thanks very much to everyone who has pointed out that the SIS report on the Saqqara museum wrongly referred to it as the Amenhotep Museum when it should be the Imhotep Museum - obviously I should have spotted it myself, but it somehow slipped through the old mental filter. Yes, I know that the London Marathon has absolutely nothing to do with Egyptology - except for the fact that it is being run today, Sunday, I live in London, and a Triathlete friend is dragging me out of bed at some revolting hour of the morning to be there at the start of this year's extravaganza. And as if that is not bad enough, she has persuaded me that it is a really good idea to get ahead of the key runners by hopping on the Docklands Light Railway and the tube, when necessary, to stay on top of the race. I gave in, so the blog will be updated, but not until late. Apologies as usual, and please blame my friend Jen Hargreaves, who deserves all sorts of evil fates for this bit of manipulation, but will inevitably triumph to beat her own personal best records next month at Blenheim's Triathlon. Some people. "Mrs. Suzanne Mubarak and Mrs. Bernadette Chirac, Thursday co-inaugurated Amenhotep [should read Imhotep] Museum at Saqqara area, situated on the West Bank of the river Nile, about 30 km south of Cairo. The Ministry of Culture has modernized the museum in tribute to Amenhotep, who was the chief architect to the Third Dynasty King Djoser (2687-2668 BC). Mrs. Mubarak and the French first lady toured the museum's various halls and watched a film about the history of Saqqara area. They also made a tour of the Step Pyramid plateau, the causeway, the Serapeum: a gallery of tombs, Saqqara North and Saqqara South. In addition to Djoser's, there are another 16 pyramids on the site, in various states of preservation or dilapidation." This is the full item on the State Information Service website. "The discovery of gold cartouches dating back to 1400 BC sheds new light on the relationship between two ancient Egyptian rulers, Egypt's antiquities department said Friday. A team of French and Egyptian archeologists have discovered two sets of nine solid gold cartouches bearing the name of Thotmusis III (who ruled from 1479-1425 BC) near the pharaoh's stepmother Queen Hatshepsut's temple in Luxor, 700 kilometres south of Cairo. 'These cartouches... which have the names of Hatshepsut and Thotmusis III have been found near Hatshepsut's obelisk which proves that the obelisk was erected by both rulers,' said Zahi Hawass, Secretary General of the Supreme Council of Antiquities." The Egyptian Gazette website was not updated all last week, but the Saturday version, the Egyptian Mail, is back up and running on the Gazette website. Today it has a brief piece about Shem el-Nessim, the start of Spring: "Since Ancient Egyptian times, Shem el-Nessim has traditionally marked the start of spring. The festival is derived from the word shamo, meaning 'season of harvest' in the Ancient Egyptian language. On this day, the Pharaohs celebrated the god Osiris coming back to life. His brother Seth had killed him and it was the goddess Isis who brought him back to life, so this feast on the first day of spring reminds us of resurrection and eternity.In keeping with tradition, Egyptians always spend Shem el-Nessim out of doors, in gardens and public parks, eating salted fish, onions, lettuce and coloured eggs. Salted fish is a natural antibiotic against the cold, but these days people only tend to eat it on the first day of spring.Ancient Egyptians offered salted fish and onions as an immolation at Shem el-Nessim. Fish, symbolising fertility, and lettuce were both characteristics of spring." What is it about ancient Egypt and its death-obsessed, aesthetically rigid and alien culture that still fascinates us today? Part of its draw is its very "otherness" and almost imponderable antiquity. Yet there's much to engage the emotions at the Fukuoka Asian Art Museum's compelling exhibition of 113 artworks and relics from ancient Egypt on loan from the Roemer and Pelizaeus Museum in Hildesheim, Germany." See the above page for more about the exhibition and for details about this and other venues to which the exhibition will be touring. "The Egyptian glories of Hadrian's Villa are highlighted in a new show at the famed site this summer. Egyptian Suggestions at Hadrian's Villa, running till October 15, shows how the ageing emperor peppered the site with Egyptian-style divine representations of his lover Antinoos after the 20-year-old drowned in the Nile in 130 CE (AD) - a probable suicide sparked by Hadrian's new dalliances. As well as numerous statues of Antinoos as the god Osiris, there is a host of statuary evoking the cult of Isis that had become fashionable in Rome, with its esoteric mystery rites and exotic art. 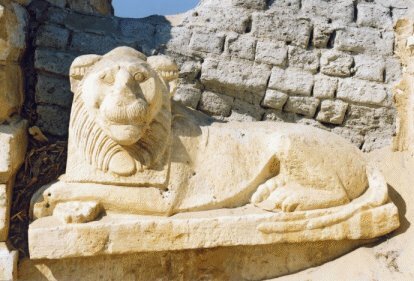 Priests, processions of offerings and still-unexplained rituals feature heavily alongside male and female characters in the form of monkeys, lions, sphinxes and crocodiles, as well as the only two Egyptian-style temples to have emerged from the vast site. Visitors will also get their first look at a monumental staircase that recently came to light and forced scholars to rethink their conception of the complex." For more about the exhibition see the above page. "For years, in several mysteries by Elizabeth Peters, Amelia Peabody and husband Radcliffe Emerson have been excavating in Egypt with the highest integrity and many exciting, dangerous exploits. In Tomb of the Golden Bird, the latest in the series, they have reached 1922 and the discovery of King Tut's tomb. They don't discover or excavate it - after all, they are fictional. They have to work in another part of the valley. But the reader can rely on Peters' scholarship to learn how it was done and how it looked." New images have been added to the KV63 website: " Additional images of KV-63 have been added today, including never before seen photos of our 'newest addition', the infant coffin, labeled 'D' (see the tomb diagram) located on the floor beneath the youth coffin." See the above web pages for more details. A brief travel piece about Abu Simbel: "Mankind spread beyond Africa some 30,000 years ago, the anthropologists tell us, but a significant number stayed along the banks of the Nile River. What they accomplished 4,500 years ago is even more notable when you consider that they had just made the transition from a hunter-gatherer culture. Visiting what they left behind is a trip back in time like no other. Our trip to Egypt began in Cairo, but we were soon on a plane headed to what turned out to be my favorite site on our trip -- the temples at Abu Simbel, 700 miles south of Cairo near the Sudanese border. Abu Simbel was not rediscovered by modern man until the 19th century. Although the temples were built right on the bank of the Nile, like so many other monuments, Abu Simbel had become buried beneath the sands." Press release announcing extended opening hours for the Tutankhamun exhibition at Fort Lauderdale: "The touring exhibition, Tutankhamun and the Golden Age of the Pharaohs will extend its hours of operation at the Museum of Art, Fort Lauderdale to be open around-the-clock for the final weekend, beginning Saturday, April 22, at 9 a.m., until the sale of the final ticket on Sunday, April 23, at 10 p.m. Tickets for the extended hours, as well as tickets for normal operating hours, are currently available . . . . With more than 640,000 tickets sold since the exhibition opened on Dec. 15, 2005, Tutankhamun and the Golden Age of the Pharaohs has become the most popular exhibition in MoA FL's history." "In response to a federal lawsuit, the Fort Lauderdale Museum of Art has made its popular King Tut exhibit more accessible to blind, deaf and physically disabled visitors." A review of the Egyptology collection in the São Paulo Art Museum: "The São Paulo Art Museum (Masp) has in its collection Egyptian archaeological items. The Masp has 22 Egyptian antiques, among them statues of gods, vases and fragments of items that are part of the history of the Arab country. The objects were donated by Pietro Maria Bardi, who ran the museum for 40 years - from its establishment to the early 1990s -, and by his wife, architect Lina Bo Bardi, who designed the building of the museum. Bardi was a specialist in art and acquired various small Egyptian items. According to the Masp registry, however, it is not known whether they were part of official archaeological excavations. The objects were donated to the museum in 1976. The Masp has 8,000 items in its collection, and exhibition is rotating. The Egyptian items are currently not being shown to the public, but they have been exhibited various times since the 1970's. The Egyptian objects that are in the Masp collection are connected to the religious life of the former residents of the region." An article on the International Herald Tribune website about the successful intervention by the Egyptian state in thwarting a terrorist campaign: "The Egyptian government said Wednesday that it had broken up a group of at least 22 militant Islamists planning bomb attacks on tourists, a gas pipeline near Cairo, and Muslim and Christian leaders. The Interior Ministry said in a statement that the so-called Victorious Group had members in suburbs of the capital and was led by a 26-year-old humanities student named Ahmed Muhammad Ali Gabr. It did not say how many of the 22 suspects, who ranged in age from 19 to 31 years, had been arrested." The article says that in spite of recently reported high visitor numbers for last year, this year's figures have been less successful, and speculates that this may be due to the threat from terrorism and the impact of the Danish cartoon controversy. "Alexander wasn't quite so great after all. Sure, he conquered most of the world known to the ancient Greeks, but he didn't found the Egyptian city of Alexandria - he just rebranded it. It now seems that this part of the Nile has been settled for at least 4500 years, pre-dating Alexander's arrival by a good two millennia. Alain Véron from the Paul Cézanne University in Aix-en-Provence, France, and colleagues made the discovery by measuring the variations in lead concentration in a mud core from Alexandria's ancient harbour. They determined how lead levels had changed over time by carbon-dating seashells found in the core. Clear pulses of lead contamination occurred between 2686 and 2181 BC and then again from 1000 to 800 BC." See the brief summary on the above page for the full story. Dr Schaden has updated the KV63 website at the above address with information about the small coffin known as Coffin D: "As I believe the time is right, I would like to make mention of the small infant coffin, labeled ‘D’ that some of you previously ‘picked-up’ on from the (revised) tomb diagram. The tiny wood coffin is situated under the head of Coffin ’G’. The superior section of the coffin is barely visible but the foot of the coffin juts out near the left ear of Coffin ’G’. In the near future, we will post a few images of the infant coffin on the KV-63 website. Filming the small coffin has posed some difficulties due to the tight arrangement of the larger coffins and the difficulty in photographing over the storage jars. It will most likely be June before we are able to make contact with the baby coffin and examine its contents. At this point, we are not certain if the coffin and/or face is painted, decorated or covered in black resin, since it lays flat on the floor, tucked in the shadow of Coffin ‘G’." His plan is to stay in Luxor until the tomb has been completely excavated and can be closed, partly to reduce the risk from the occasional but potentially devestating rainfall events that can occur. See the above page for more news from the site. An Egypt heritage project has been chosen as a finalist in the Stockholm Challenge. "The valuable collection of Description De l’Egypte containing text and images related to antiquities, natural history, and the modern states of Egypt, has been fully digitized, digitally restored, and integrated on a virtual browser with the objective of preserving it and making it publicly available. . . . This project was initiated within the International School of Information Science (ISIS). Founded as a research institute within the Bibliotheca Alexandrina (BA), ISIS acts as an incubator for digital and technological projects, promoting and nurturing innovations which view the encompassing aims of the BA as an end goal." "The project provides online information using multi lingual multimedia about Egypt's endangered animals and plants species.The International Union for Conservation of Nature (IUCN) annually publishes a list of endangered animal and plant species in each country. This list includes native mammals, birds, reptiles, fishes, molluscs, insects and plants that have been assessed as being at risk of extinction on a global level (a Red Data list). The Egyptian Red Data list (2002) includes 35 mammals, 20 birds, 6 reptiles, 10 marine fishes and mollusks and two plant species." See the above pages for full details of each of the finaliststs. "The Egyptian Gallery at the Fitzwilliam Museum, which has been closed for refurbishment since September 2004, is due to re-open on May 27 2006. Comprising three rooms, the revamped gallery will now explore the lives of Egyptian kings and the ordinary people of Ancient Egypt, as well as the fascinating process of death, burial and the other funerary rituals of the Ancient Egyptians. With the earliest pieces in the Fitzwilliam collection dating from about 3100 BC, the original remit was to improve its display. However the refurbishment has also given staff at the museum a valuable chance to look at the conservation issues that needed to be dealt with." The most recent newsletter of the Egyptian Antiquities Information Service is now available at the above address, in PDF format. The EAIS was set up to "improve the ability of the SCA to map, document and protect archaeological sites in Egypt. The project will establish a technically, institutionally and financially sustainable GIS Center within the SCA". The newsletter contains information about recent events, Culture Resource Management (CRM) initiatives, a short report on the current state of Karanis in the Faiyum, digitization of official maps in collaboration with Amlaak, fund raising news, and data quality control management procedures. Jane has updated her Luxor News blog with some information derived from a conversation she has had recently with Otto Schaden concerning recent conservation work, the sealing of the storage jars and the location of coffin D1. See the above page for the full story.
" More than 1,300 years after the Muslim conquest swept through Egypt, one of the country's highest religious authorities has declared that its ancient sculptures are forbidden by Islam. In his fatwa - or religious ruling - issued earlier this month, Grand Mufti Ali Gomaa quoted a saying of the prophet Muhammad that sculptors will be among those receiving the harshest punishment on Judgment Day. Artists and intellectuals here say the edict, whose ban on producing and displaying sculptures overturns a century-old fatwa, runs counter to Islam. They also worry that extremists may use the ruling as a pretense for destroying Egypt's ancient relics, which form a pillar of the country's multibillion-dollar tourist industry." The EEF News Digest is now online at the above address, giving details of the latest conferences, exhibitions, lectures, digital publications and much more. "Minister of Culture Farouq Hosni and his Mexican counterpart Sari Bermudez met Monday April 17th. The meeting was attending by Bermudez's high–rank accompanying delegation. Bermudez invited Egypt to take part in the second forum on civilizations, set to be held in Mexico in 2007. In statements Monday, Hosni said Bermudez asserted her country's keenness on holding an exhibition of Egypt's monuments in the fall of 2007. Hosni said the exhibition would be held in order to activate Egypt's cultural role in Mexico City. Hosni also received an invitation to attend the opening of a major library to in Mexico on May 17th." "Most of our work during the third, fourth and fifth seasons was focused on preservation and conservation. We have treated all the mummies in situ to protect them from deterioration and infestation by insects, and we have carefully recorded all the artifacts we have found at both sites. We have also constructed ceilings and doors for the tombs we have excavated. We have opened several tombs, from the 26th, Dynasty to the public. This was an immense job, which required installation of electricity, ventilation inside the tomb and landscaping outside. One day I hope to have a major site museum at Bahariya; it will be the first of its kind built for a major discovery such as the Valley of the Golden Mummies. I will never forget the first day of our excavation.That evening, the team went to a cafe to discuss the excavation. The owner, Sheikh Rashed, came to me and said, 'Sir, our town is so neglected. Next time you are on TV, will you talk about us?' Neither of us realised that I would soon be mentioning their little town in publications and programmes worldwide. Bahariya has become one of the most famous archeological areas in the world. About ten thousand tourists travel there each year, and the region is finally entering the twenty-first century. There are hotels, cafes, markets and cars, and it is now possible to dial directly from Bahariya to anywhere in the world. Sheikh Rashed still has his cafe but now he has opened an internet cafe so that everyone can check their e-mail from Bahariya. I never thought anything like this would happen in an oasis deep in the Western Desert of Egypt. My best estimate is that the valley holds about ten thousand mummies, but I feel we should let them rest undisturbed. The 253 mummies we have uncovered have given us an enormous amount of information to sift through. We have only scratched the surface of this site and the adventures will continue for many years to come." "Last year Egypt received a record-setting 8.6 million tourists and is experiencing growth of up to 60% in some Middle Eastern markets alone. The ‘Nawart Masr’ (‘You Light Up Egypt!’) campaign comes as the successor to the much praised ‘Ebtesamet Misr Ma Tetneseesh’ campaign which was present throughout the Middle East in last year. The new campaign – which is expected to contribute to more than 30% growth among Middle Eastern holidaymakers visiting Egypt each year – puts Arab visitors at the centre of its appeal, drawing on the Egypt’s natural beauty, culture, entertainment, and food to remind Gulf, Levant, and North African Arabs why they fell in love with Egypt the first time they visited, while highlighting all that is new and exciting." A very short piece on the Egyptian Gazette website: "Farouk Geweida in the daily business El-Alam el-Yom referred to a letter from a tourguide warning that underground water is threatening the foundations of the ancient temple at Esna in Upper Egypt. The letter said that attempts to pump the water out from under the temple have been in vain. Experts say the only solution is to raise the temple on a platform of insulating material. 'Is there any way to avoid putting the lives of visitors at risk and save the temple?' "
"Minister of Culture Farouk Hosni has given the go-ahead for the creation of Egypt's first judicial museum to document the judicial history of the country. The museum will be registered as the first of its kind in the Arab world. It will display rare manuscripts and books in three pavilions at an estimated cost of LE450,000." An unusual sort of book review for this particular blog, but The Times has picked out the fact that Egyptologists have contributed a section on the garden in Ancient Egypt, and have included an extract from that section in this two-page article: "Gardens never left their origins behind entirely. None seems to have been exclusively ornamental: all produced at least fruit from trees and vines, as well as flowers for cutting. They were set among walls and buildings; layout was formal and geometric. The natural landscape was nor imitated or “domesticated”, which is not surprising in a country that consists largely of the flat floodplain with its few trees and the almost plantless desert plateaux." See the above article for the full review, and for a larger extract from the entry on Ancient Egyptian gardens. Multi-page article looking at the antiquities trade and how it is changing, using Phoenix Ancient Art, a successful antiquities dealer, as a case study: "In a climate where suspicion can be tantamount to guilt, antiquities dealers can no longer afford the perception of secrecy. More and more, their galleries are, by necessity, becoming "mini-museums. . . . Fewer objects are being traded because many do not come with the extensive documentation needed to prove their authenticity and provenance. Now, increasingly rare pieces with a clear provenance are fetching higher and higher prices. Similarly, while some long-time collectors, citing the recent controversies, have withdrawn from the antiquities field, newcomers are entering, hoping to turn the increased risk into a higher return on their investment." Zahi Hawass is quoted a couple of times with reference both to his attitudes and his claim for the return of the St Louis Mask, which was purchased through Phoenix Ancient Art. See the above article for the full story. "Saqqara has yielded some of antiquity's most compelling art and architecture, from the magnificent complex of Djoser, which set the standard for future pharaonic tombs, to intimate, carved stone friezes picturing some of the most moving scenes of daily life in ancient Egypt, such as one in the modest grave of Nefer, a minor official, in which a farmer gently feeds and pets his bull. But it also remains vexing. Whether people actually lived there is in dispute. And despite all the Old Kingdom royal tombs, no mummies of rulers have been identified. At the same time, excavators have found tens of thousands of mummies of cats and dogs, ibis and fish, baboons and crocodiles. No concrete evidence of the workshops one would expect at such a vast funerary metropolis has been found, and, despite the richness of individual tombs, there is as yet no completed modern survey of the site." "You will play the part of an attractive and enigmatic adventurer called Allan Scott, who’s exploring the fascinating and mysterious Egypt. The story is based on true events about a cult - the cult of God Aten. A surprising adventure that will combine action, suspense, and mystery. All this will unwrap itself in scenarios of myth and mystery like in the Valley of the Kings between pharaoh’s tombstones, Cairo, and the oasis of El-Fayum etc. But The Shadow of Aten will have much more than action and adventure - there will be multiple game mechanics, from camel riding to truck pursuits, infiltration system, shooters, etc. More at www.theshadowofaten.com"
"Deck 13 and bhv, the developer/publisher tandem behind the original 3D comic adventure released in Europe, have recently announced that they are teaming up once again for a standalone expansion called Ankh: Heart of Osiris. Following a press release only in German, Deck 13 has confirmed development of the standalone pseudo-sequel. The new game will take players through fifteen scenes in ancient Egypt, half of which are completely new, while the other half have been overhauled from Ankh." "Immortal is a film of extraordinary vision and a treat for comic book and sci-fi fans alike and has never before been released in the UK. In the year 2095, a giant extraterrestrial pyramid appears over New York. Inside, the ancient Egyptian god Horus is told he has just seven days on Earth before his destruction." "Pokie Magic, www.pokiemagic.com, creators of virtual slot simulations is proud to announce their next title, King Tut’s Treasure, is now available. Created in Australia, Pokie Magic and King Tut’s Treasure is an easy way to have the fun of real casino slots on your PC without risking hard earned money. . . . The youthful Pharaoh and ancient pyramids will entice you to play for the honour of Cleopatra - Queen of Egypt. Save Cleopatra’s Jewels, then defeat the mighty Asp in the Serpent Spins and the riches of Ra's Treasure will be yours for the taking!" For more details about any/all of the above, see the relevant web pages. Otto Schaden's Dig Diary has been updated (dated 13th April 2006). Here's an extract, but see the full entry on the above page: "With the temporary slowdown of the conservation work during Nadia's absence, much pot-mending, drawing and cataloging of pottery found in the shaft, chamber, jars, and coffins have been completed. This is all very necessary work, but our main goal for the next couple weeks will be clearing objects from the tomb. In the immediate future, we hope to raise what remains of the bottom (hull) of Coffin 'A', the mask of Coffin 'B' (which is lying face down inside that coffin at present), and finally, we hope to remove the youth's coffin 'G' (see tomb diagram)." Jill Kamil reviews the exhibition currently being held in Room 44 of the Cairo Museum, for Al Ahram Weekly. The review describes the opening ceremony, looks at the implications of the exhibition and picks out and describes some of the key items displayed: " Last month's official opening in Room No 44 of the Egyptian Museum of an exhibition of American discoveries in Egypt was a high-profile event. It was launched by Zahi Hawass, secretary-general of the Supreme Council of Antiquities, and attended by Frank Ricciardone, the American ambassador in Egypt -- who is showing more interest in Egyptian culture than did his predecessors -- as well as Gerry Scott, director of the American Research Centre in Egypt (ARCE), who demonstrates a more amicable attitude to the press, and Wafaa El-Saddik, director of the museum. The objects on display included pieces chosen from the permanent collection of the museum as well as some recent and impressive discoveries". See the above page for the full story. Nevine El-Aref describes the Gospel, its discovery and the background to its return to Egypt: "The gospel of Jesus's favourite disciple, Judas, was on show yesterday in Washington's National Geographic Museum before its return to Egypt where it was found 30 years ago. The fragile codex -- made up of 13 papyrus leaves -- has been restored with a two-million-dollar fund from the National Geographic Society (NGS) and the Waitt Institute for Historical Discovery. Its most recent owners, the Basel-based Maecenas Foundation for Ancient Art (MFAA), will now hand the codex over to the Coptic Museum in Old Cairo." Zahi Hawass's Dig Days column on the Al Ahram website this week features KV63, the newly discovered shaft and chamber in the Valley of the Kings. This is part 1 of an item which is scheduled to be continued: "The story of this discovery began last year, when Schaden wrote to me to say he had found a shaft located near the tomb of Amenmesse of the 19th Dynasty (KV 10). Amenmesse's tomb had been discovered long ago, but Schaden had worked for many years on cleaning and recording it. He never dreamed of working outside the tomb, since this was not part of his concession. However, his luck changed last year when the Inspector of Qurna came to see him and asked him to clean the area around KV 10's entrance as part of a planned Supreme Council of Antiquities project to protect the valley from flooding. While doing so, and purely by accident, Schaden came across the top of this shaft." The Al Ahram Weekly website has featured a reader letter praising the SCA's enforcement of a decision to remove camel and horse ride vendors from the Giza Plateau: "As usual, there were plenty of tourist buses, groups, and school children, photographing, descending into the tombs, and playing at the foot of the pyramids. Yet something was very wonderfully different. We were neither followed around nor accosted by irritating 'do you want camel ride, good price' or abused horses. We could spot people galloping off into the desert and heads bobbing up and down on camel backs, but only from a distance. The plateau felt quieter and we could enjoy our walk, alone, in peace." "The world's only known copy of the Gospel of Judas, arrived in Egypt on Wednesday for public display. . . . The manuscript dates to the third or fourth centuries and portrays the apostle Judas as Jesus' faithful servant, not his betrayer. The document had been undergoing restoration and translation in Switzerland, where it had been acquired by the privately owned Maecenas Foundation. The Gospel of Judas was discovered by a villager in Egypt's southern desert province of Minya in the 1970s." The manuscript will go on display in the Coptic Museum in Cairo. See the above page for the full story. Jane Akshar has updated her Luxor News blog with a short but encouraging post about the restoration work being carried out at Medinet Habu, the Temple of Tuthmosis III. One of my favourite temples, becuase of the wonderful paintwork still visible, Jane says that black residues that have coated some of the scenes have been removed by the Chicago team, revealing even more of the precious colours. An article on the BBC website about the Millennium Dome, which mentions the planned London leg of the Tutankhamun exhibition: "It is thought that the Dome will house a Tutankhamun and the Golden Age of the Pharaohs exhibition in 2007." "Some 669,000 tourists visited Egypt in February with an increase of 4.5 %, according to the Central Agency for Public Mobilization and Statistics. Tourist nights reached up to five million with a slight decrease of 2.4% from last year. European tourists came first with 71.3 % followed by the nationals of Middle East countries with 16.18%. Arabs made up some one million tourist nights with an increase of 4.6%." http://www.egypttoday.com/article.aspx?ArticleID=6601 "No one should visit El-Fayoum without stopping by Lake Qaroon, Egypt’s largest saltwater lake (at exactly 215 square kilometers) and a true breath of fresh air. The lake is believed by many to be the oldest continually farmed agricultural area in the world with organized fences and guarded warehouses. Originally home to prehistoric hunter-gatherers, it’s still a center of farming and famous for its fruits, vegetables and chickens." "Better known for agriculture and sweets than antiquities, the Delta offers sights and sounds with a lot of personality." "Gilf Kebir is remote. Big emphasis here on remote — it’s so off the beaten track that it’s practically off the map. In fact, it took state-of-the-art satellite imagery to discover the world’s largest crater there. Mind-boggling but true, especially if you consider that up until the turn of the last century, the vast desert expanse of the Libyan Desert (the area lies in the farthest corner of Egypt between the Sudanese and Libyan borders, but is considered part of the Libyan Desert) had never even been mapped." "Before you settle on a guide, get recommendations. One of Siwa’s endearing traits is its size: This laid-back village is tiny, and over the course of a day you’ll probably meet most of the tourists in gardens, restaurants and historic sites around the oasis. Most of them will have done or be doing safaris on their trip and are usually glad to share their experiences. Though far off the path of Pharaon-ophiles, Siwa has its share of antiquities. Gabal Al-Mawta (Mountain of the Dead) is honeycombed with late-pharaonic and early Greco-Roman sites, four of which are open to tourists. All that is left of the Temple of Amun is a partly reconstructed wall and a stone floor overgrown with weeds. The Temple of the Oracle, up on a hill amid the ruins of a salt-mud village, has withstood the years much better." "From endless rolling sand dunes, one of the longest rivers in the world, unbroken chains of mountains and acres of muddy marshes and murky lakes, Egypt possesses an unparalleled natural wealth." See the above pages for full details on each of the locations. "When Luxor residents, accustomed to their quiet Upper Egypt evenings, woke up to the sound of explosives last month, many had flashbacks to the 1990s, when the city was frequently attacked by terrorists. Justifiably horrified, they ran out of their homes only to find that the cause of the big bangs was just a party being hosted by a travel agency outside the walls of Luxor Temple. The agency had thought up a brilliant idea to entertain tourists: What better than to illuminate the regal façade of the temple with a display of fireworks? At an ensuing People’s Assembly session, three PA members grilled the officials from the Ministry of Culture and the Supreme Council for Antiquities (SCA) for allowing the party to happen. Some MPs went so far as to claim the display endangered the ancient walls of one of Luxor’s most important landmarks. For his part, SCA chief Zahi Hawass admitted to the press that the agency had procured the necessary permits to hold its event outside the walls of the temple, but denied knowledge of the fireworks and announced that the travel agency was out of line. He pointed out that the Antiquities Police had already filed a report against the agency on March 4, a day before the PA session in question took place." "Every bit as remarkable as the world premiere of the exhibition on Egypt Sunken Treasures, which is to be shown in Berlin, Germany from May 13 through September 4, is the manner in which the artefacts will be brought from Alexandria to Berlin. Some of them weigh several tonnes and for the journey, they are to be loaded onto the transport aircraft Airbus 300-600ST Beluga, which Airbus is lending for this special cultural undertaking. Having spent thousands of years on the bottom of the sea, the monumental statues, fragments of ancient columns and cult objects will arrive in Germany'scapital aboard an aircraft with today's most voluminous cargo hold. 'By supporting the exhibition Airbus and its parent company EADS wish to make a contribution to cultural life and to enable the city of Berlin and its visitors from all over the world to experience Egypt's Sunken Treasures in what is on of the most famous and beautiful exhibition buildings in Germany, the Martin-Gropius-Bau', EADS and Airbus have said in a press release. The exhibit will present 489 artefacts discovered during underwater archaeological excavations done from 1992 to 2005.Those excavations have been performed under the supervision of the Supreme Council of Antiquities of Egypt by the European Institute for Underwater Archaeology (IEASM). Those excavations were performed in the Great Port of Alexandria (the Portus Magnus now submerged) as well as in the bay of Abu Qir; more particularly on the sunken city of Heracleion, discovered in 2000, and on the site of East Canopus already partially spotted in 1934 by Omar Toussoum. Among those objects are three colossus statues of a Pharaoh, a Queen and Hapy, divinity of the flood of the Nile and of the fertility. There is also a black granite stele which has revealed the Egyptian name of this city of Heracleion, which is Thinis. A large statue head, likeness of Caesarion, son of Cleopatra and Cesar, which as retrieved in Alexandria, and a beautiful Ptolemy Queen, proceeding from East Canopus, will be also part of this trip.But the exhibits' travels are by no means over then they have completed the trip to Berlin on board the "Beluga". At the end of their stay at the Martin-Gropius-Bau the statues will take off again, this time on a flight to France. From December 8 to March 16 Egypt's Sunken Treasures will be on show in the Grand Palais, Paris. " Another article about Hatshepsut and the touring exhibition, this time on the National Geographic website: "Cathleen Keller, an Egyptologist at the University of California, Berkeley, served as a consultant for the exhibition. Egypt had several female rulers, including Cleopatra, she says. But all of them, except Hatshepsut, emerged at the end of a dynasty. These other female leaders 'represent a last attempt by the ruling dynasty to remain in power,' she said. Hatshepsut's predecessors—the first rulers of Egypt's New Kingdom period (1539 to 1075 B.C. )—reasserted Egypt's influence and secured borders with military might. The story of her ascent rivals a modern-day soap opera." See the two-page article for the full story. This is a completely fascinating website describing a conservation project that is dedicated to the ancient quarries of the Eastern Mediterranean. The above news item focuses on a survey the remarkable Faiyum projects in Egypt, Widan el Faras (basalt) and Umm es-sawan (gypsum). The site is full of great information and excellent photos, with a description of what the project is about, another on what value the study of quarries brings to our knowledge of a given region, and a section dedicated to the Egyptian quarries at Aswan, and the southeastern Western Desert. The Eastern Desert and Nile Valley pages have yet to be updated, but there is a useful page looking at the application of GIS to quarryscapes in Egypt. See the above site for more, and thanks to Per Storemyr for bringing it to my attention. "Two intact tombs from the first dynasty period, clay models of granaries and the oldest 'writer's palette' are among the most recent discoveries made by Polish archaeologists in Tell el-Farcha in the Eastern Nile Delta. The golden-plated figurines from before 5 thousand years found recently have been transported to the Eyptian Museum in Cairo. Further excavations resulted in unearthing two tombs, archaeologist Piotr Kołodziejczyk said. The excavations are carried out by Polish Expedition in cooperation with the Centre of Mediterranean Archaeology. One of the uncovered tombs (ca. 3050-2900 BC) contained a skeleton, clay pottery and vessels of sandstone and alabaster. The other tomb several dozen older contained 25 clay vessels. 'The discovery confirms the role of Tell el-Farcha as one of the major centres of the state of the pharaohs that was formed at that time. This changes the to-date views of the role of the inhabitants of the Nile Delta in the establishment of Egyptian monarchy,' the Pole believes." Another museum piece on the Egypt Today website, this time about the Egyptian Museum: "There is too much to see in a single visit to the Egyptian Museum, but with some advance planning, you just might be able to take in most of the Pharaonic glory. . . . A plan is essential: The Egyptian Museum houses a staggering collection of over 100,000 objects, too many to absorb in a lifetime, let alone in a single trip. While some displays are well-marked (generally in Arabic and English, occasionally in French), the signage is erratic and you often won’t know what you’re looking at unless you’ve educated yourself beforehand. Decide in advance what you want out of your visit — a broad introduction to Egyptology or a focused look at a particular feature." There is now an excellent museum guide, available from the museum shop (or at least there was when I was last there, and I can look up the details for anyone who wants to order it prior to a visit to Egypt) but this is a very handy short summary of the contents of the museum and where to find them. "Who better to ask for a personally guided tour of the greatest wonders of Egypt than the world’s foremost Egyptologist, Dr Zahi Hawass? In his position as the Secretary-General of the Egyptian Supreme Council of Antiquities, a post he has held since 2002, Hawass has been a tireless warrior in the fight to regain Egypt’s lost and stolen treasures while preserving those endangered by the environment and mass tourism. Last month, Hawass took et on an exclusive tour of what he considered the nation’s must-see sites." It is nice to see that as well as the more obvious places like Giza and the Valley of the Kings, he includes the Western Desert in his list. "In 2004 the Discovery Channel and Channel 5 in England televised live from Bahariya. The shows were broadcast at 3:00am Cairo time, which was prime time (8:00pm) in the States. The people in the States were now able to experience first hand an archeological excavation conducted by an Egyptian team, and the discovery of many tombs. For two nights we filmed in the Valley of the Golden Mummies, were we found nine intact tombs all containing mummies covered in gold. We also opened a sealed shaft that contained a skeleton of an ordinary man, and conducted x-rays of several of the mummies. The next three nights we filmed in Skeikh Soby, where we had found the tomb of its governor Djed-Khonsu-efankh, his wife Naesa II, and his father, Ped-Isis. This season we are searching for the tomb of his mother Naesa I and his grandfather, Iru-aa. Going live, we found two sealed shafts, which I entered with Mike, the presenter of the show and Laura Green. It was an exciting adventure! The room at the bottom of the shaft was filled with rubble, which I crawled over for about 15 metres. This was very dangerous but fun.This room then opened into a second chamber, which lay at the bottom of another sealed shaft. At the end of this chamber was another anthropoid sarcophagus. Reading the inscription I found out this was Pedi-her-khieb, the brother of Djed-Khonsu-efankh. We opened the sarcophagus live and found pottery and 40 shawabtis. On the following nights we opened several more limestone sarcophagi in this burial chamber, which dated to the 26th Dynasty. In the first chamber we found a sarcophagus, which contained the remains of an infant. The larger sarcophagus held the mummy of its mother. It seems the woman died giving birth to the child and therefore, they buried the baby beside her. All these finds were unique and exciting, but we are like detectives continually searching for the rest of the family of Djed-Khonsu-efankh that still lie buried somewhere beneath the houses of El-Bawiti." Not a first, but still . . . It's not the first time this has happened, but still . . . . it's a bit unnerving: I haven't found any news to post this morning! It isn't helping much that Goolge Alerts, my faithful assistant in all matters web-related, has chosen to spout gobbledegook today, but no-one else seems to have anything much to say either, and even Jane Akshar has no lecture notes from the Mummification Museum, because the lecture was cancelled. However, don't forget that Aayko will be updating the EEF website later today with the online version of last Thursday's email newsletter, which is a must-read weekly digest of all the most interesting news on everything from exhibitions, conferences and lectures to the latest digitized publications available online. There are also a couple of News items that I missed, summarized below - I was clearly off on Planet Elsewhere last week. The newsletter actually contains a HUGE news item which I missed (sorry!) about discoveries dating to the 7th millennium bp in Dakhleh Oasis, and one which is very dear to my own interests: "A group of Poznań archaeologists has discovered new examples of cave paintings dating back to the 7th millennium B.C. in Dakhla oasis, Egypt. Inventory works were run in February till mid-March. They had been commenced by Prof. Lech Krzyżaniak, an eminent specialist of Saharan cave art, of the Archaeological Museum in Poznań, who passed away in 2004 – says Prof. Michał Kobusiewicz of the Institute of Archaeology and Ethnology at the Polish Academy of Sciences (PAN), running the research." The URL for this is http://tinyurl.com/pbco4 (naukawpolsce.pl) but there are other relevant links too - check the EEF newsletter. http://tinyurl.com/ma2rf (informativos.telecinco.es): "Cuatro vasos para guardar vísceras, un juego de mesa, un papiro considerado mágico dentro de un colgante y exquisitos recipientes para perfumes. Todo esto, dentro de una tumba que fue sellada hace 3.400 años, es el resultado de una excavación arqueológica que científicos españoles realizan en Luxor, Egipto, llamada Proyecto Djehuty. Ésta es ya su quinta campaña, y de momento es la más fructífera." Roughly translated as: Four canopic jars, one table jug, a magical papyrus, and exquisite perfume holders. All this in a tomb which was sealed 3400 years ago, is the result of an archaeological excavation which Spanish scientists have been carrying out in Luxor, Egypt, called the Djehuty Project. This is their fifth season, and to date the most fruitful. 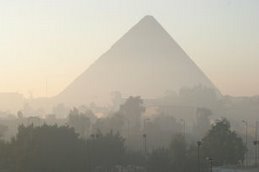 The project's home page (in Spanish), with dig diary and photos, is at http://www.excavacionegipto.com/. The site was down when I tried to access it, but it has always been reliable in the past so if you have any difficulties with it today, try it again during the week. "An Egyptian archeological team has discovered a series of structures in the southwestern town of Faiyum that could yield vital data as to how a Middle Kingdom temple was built, the culture minister said Thursday. Farouk Hosni said the structures included administrative buildings, granaries and residences believed to have belonged to priests of the temple, which was dedicated to Renenutet, the goddess of harvest, as well as the crocodile-god Sobk and falcon-deity Horus, Hosni added. . . . Items found at the site included seals used by the priests of Renenutet with hieroglyphic inscriptions, a headless limestone statue, a bronze statue of a woman and papyri with Greek and demotic writings, said Abdel-Rahman al-Aidi, director of the SCA's excavations department and team leader. Some of the papyri contained royal correspondences, including one from the wife of Ptolemy I to the priest of the temple of Renenutet 'thanking him for the temple's magnificent services,' Hawas said." Medinet Madi is super, always encroached upon by sand, with the most charming row of human- and lion-headed sphinxes, all in honey coloured stone. The photos that I've added are from 2003, when I last visited. I've sneaked this in because it's a low news day, and there's not even much trivia around this week. This is an article about the rediscovery of some prewar photographs of the holotype Spinosaurus aegyptiacus, discovered by Ernst Stromer, the remains of which were kept in the Palaontologische Staatssammlung Munchen and thought to have been lost in the Allied bombing. It also looks at the more recent work of Josh Smith, who followed in Stromer's footsteps to Bahariya Oasis and found other dinosaur remains while attempting to discover Stromer's original site. For the full story see the above URL. Following in the footsteps of the Lexikon der Ägyptologie, an encyclopedia which was published over a period of 30 years, the last edition of which was published in 1992, UCLA is planning a new online Encyclopaedia of Egyptology. The team is fronted by Professor Willeke Wendrich, Professor John Baines and Jacco Dielman: "By 2008, Wendrich, Dieleman, and John Baines, a professor of Egyptology at Oxford University, plan to create a new Egyptology encyclopedia in a whole new medium. The online UCLA Encyclopedia of Egyptology (UEE) will be easy to update, easy to search, and illustrated with images, 3-D views of ancient cities and sites, and interactive maps. Dieleman, a philologist in the Department of Near Eastern Languages, says the project is informed by the search functionality of Google and the constant updates of Wikipedia." Great to see digital media being used so positively. See the above article for the full story. A press release publicizing the Discovery Channel's investment in future science and exploration programmes, which also gives a brief mention to the fact that a programme re KV63 is currently under production: " Currently on the ground and in production is KV63: EGYPT'S NEW TOMB REVEALED which follows a team of archaeologists unearthing one of the most significant antiquities found in nearly a century. Buried for over a millennium in Egypt's Valley of the Kings, what mysteries does the tomb known as KV63 present? Lying less than 50 yards from the famed tomb of King Tutankhamun, clues will emerge from KV63 that contain sarcophagi, pottery shards and other items from the 18th dynasty pharaohs."